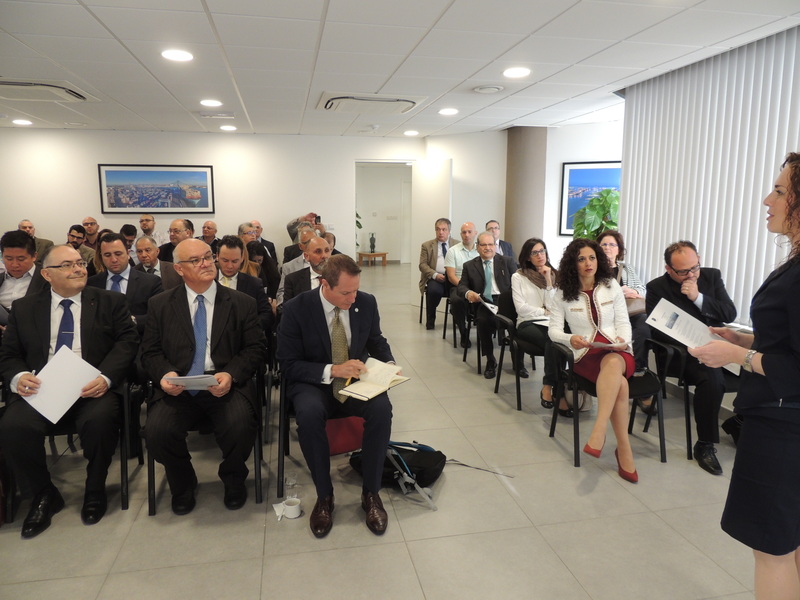 Members and guests were invited by the Malta Maritime Forum to participate in another successful Progress Meeting which was held with the aim of keeping the maritime sector abreast of developments in the industry. 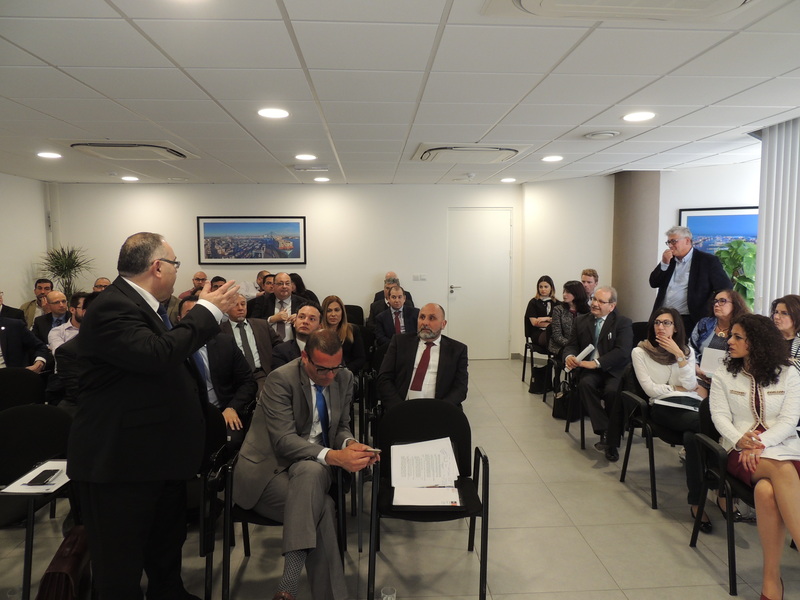 The meeting was attended by over 50 guests who expressed their satisfaction for the professional presentations that were made and for varied, local and foreign speakers invited for this event. The meeting was moderated by Ms. Angelique Maggi who is the Vice Chairman of the Malta Mediterranean Hub. 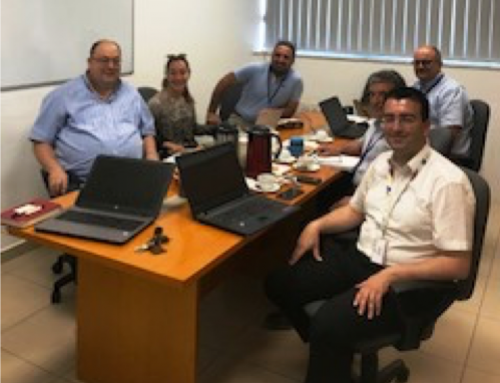 MMH have recently taken over the ex Marsa Shipbuilding facility to develop it into a maritime hub specializing in the specific requirements of the oil, gas and marine sectors. 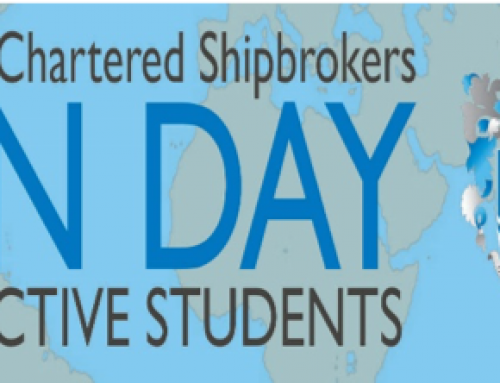 It will provide a wide range of services including rig agency and rig stop services, planning, project recruitment, the contracting of pre-screened and pre-qualified personnel, training, logistics, facilities provision, supply chain services etc. 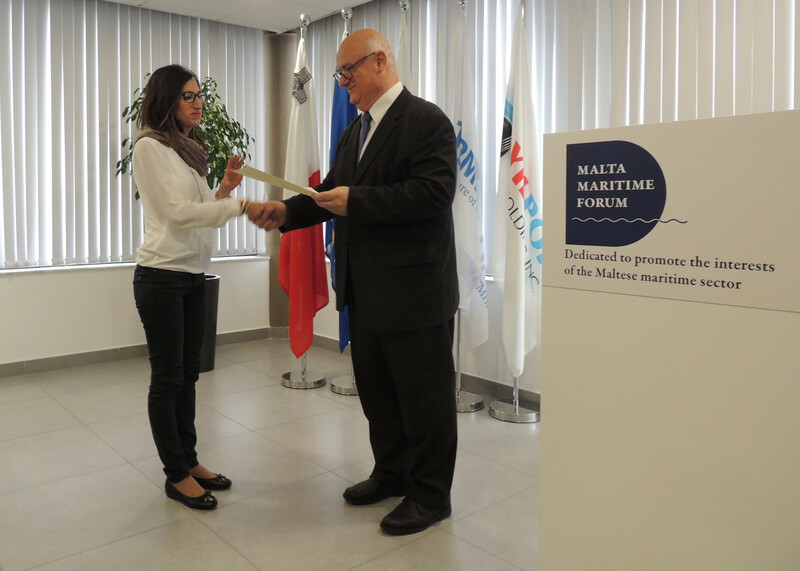 The session was opened by Dr. Joe Borg, Chairman of the Forum, who handed over certificates to twelve students who successfully attended the Marine Induction Course held by the Malta Maritime Forum in conjunction with MMRTC and approved by Transport Malta. . The first session included very interesting presentations. The first was delivered by Profs. Aldo Drago, Physical Oceanography Research Group Coordinator, University of Malta, who spoke about ‘Marine Intelligence – Serving sea-based data where and when it counts’. 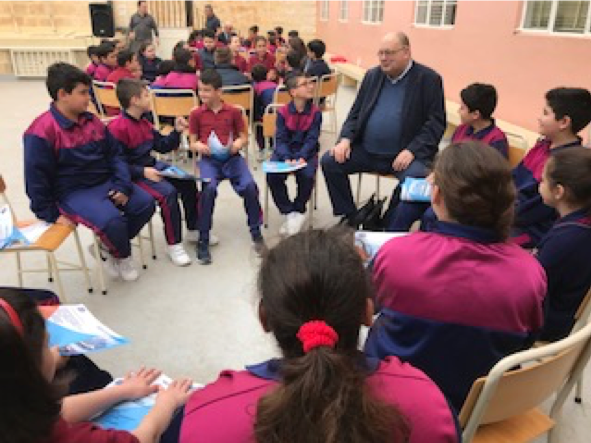 The second presentation focused on maritime satellite solutions and was delivered by Mr. Joe Apa – Vice President Maritime for Central, Northern Europe & the US, who flew to Malta purposely for the progress meeting. The other two presentations of the first session were delivered by Mr. Joseph Meli – responsible for Marketing & Operations at the Mediterranean Maritime Research & Training Centre Co-op Soc. Ltd. and Mr. David Fleri Soler – Head of Sales & Business Development of the Express Group. 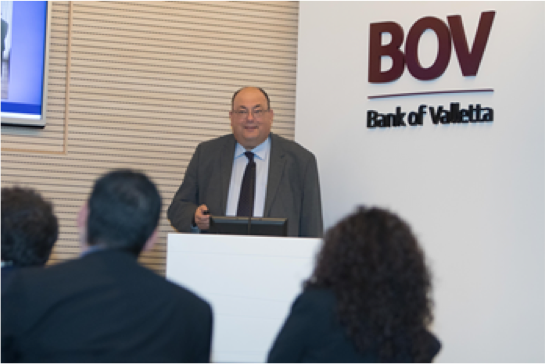 The second session included a presentation by Mr. Davin Kort – CEO of Valletta Gateway Terminals Ltd who explained the vision and mission of the Valletta terminal. 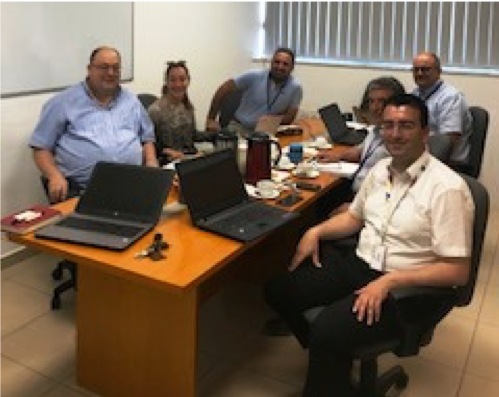 An update of the Forum’s new website was delivered by Ms. Lisa Camilleri who is the appointed Executive Secretary of the Forum. The Malta General Registrar of Shipping and Seamen, Mr. Ivan Sammut, delivered a very interesting and informative presentation regarding “Ship Registration under the Malta Flag”. 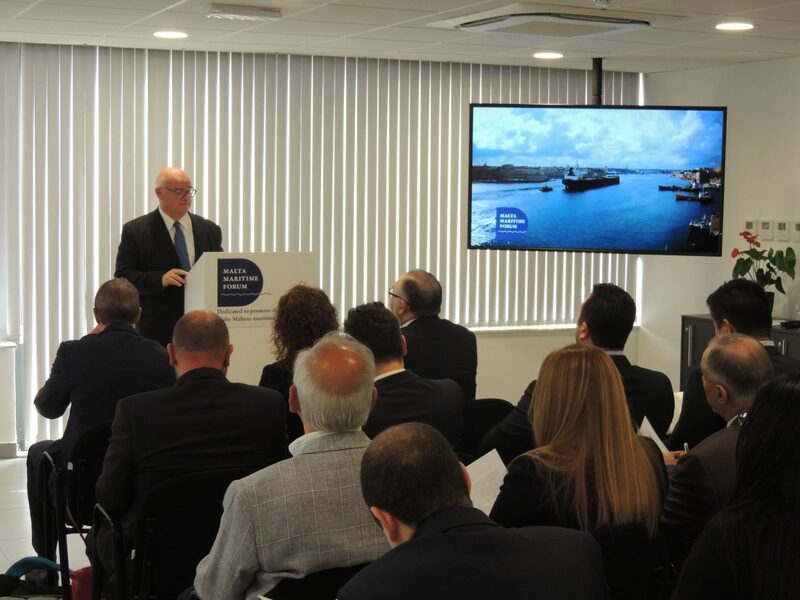 Mr Sammut took the opportunity to elaborate on the various advantages deriving from the registration of vessels under the Malta Flag, which today is classified as the number one flag in Europe and the sixth in the World. As is now normal practice, the Forum opened the floor to questions and answers by members and guests. Very relevant issues were raised among which the one that concerned participants most of all was the impact on cargo handling once the United Kingdom concludes the Brexit negotiations. 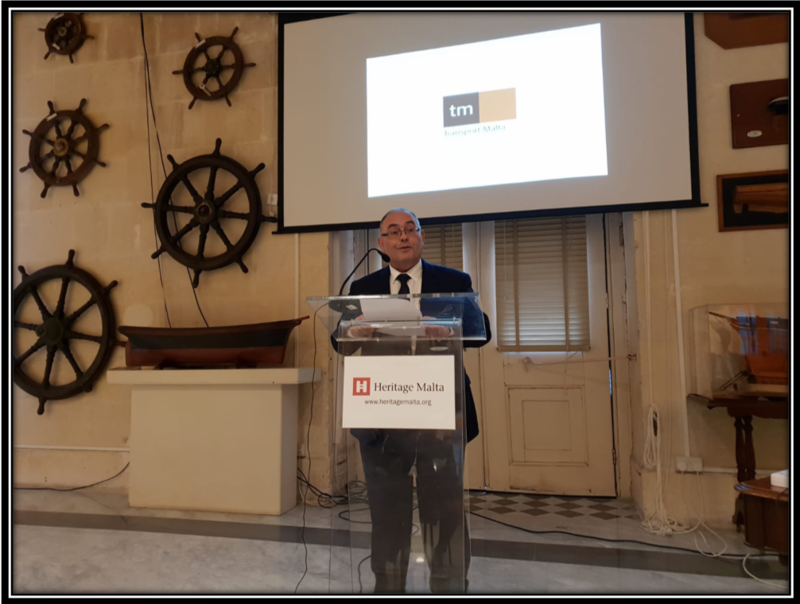 The progress meeting was concluded with a presentation by Mr. Joseph Bugeja as CEO of the Malta Maritime Forum who grasped the opportunity to take the members and guests through the initiatives of the Forum in the various sectors dealt by it including, Education, Port Services and Operations, Media coverage and Internationalisation. Those present were invited to a networking social event which created the right opportunity to exchange views on the various topics tackled during the morning session. 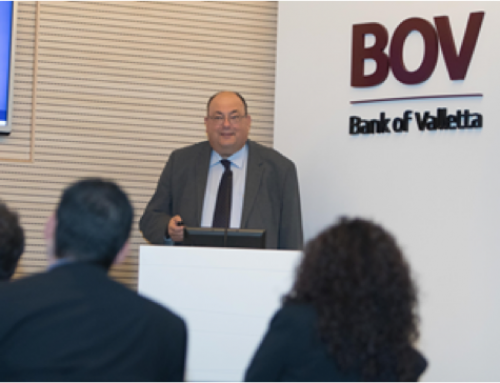 The Forum thanked its loyal members and the Bank of Valletta for their continued support.